The Body Shop used to remind me of body mists in tangerine hastily applied in my pre-teen years, while using a matching body butter to complete the process. It's been a while since I'd bought anything Body Shop until a dire panic at Charlotte airport in the USA where I couldn't find my liquid eyeliner. Luckily there was a Body Shop in the airport and I promptly bought the blackest liquid eyeliner they stocked and started to fall in love with the brand all over again. As The Body Shop sponsored the makeup for this years London Fashion Week, I was luckily given a few freebies from the new Colour Crush collection as well as some wonderful brushes and a BB Cream. I've been more than impressed with each and every item, so I thought I'd do a quick roundup post to sing the praises of this cruelty-free and wonderful company. The Colour Crush Eyeshadows, £7.00* were used heavily at LFW and one of my favourite looks incorporated a bright pink eye with white liner and a really basic, fresh base. Luckily I came away with just such a shade in bag and did a little dance at the possibilities! Not only are the colours incredibly pigmented, but they glide on silky-smooth and endure even the toughest of beauty conditions. I've taken to applying this with my fingers just so I can feel how finely milled these beautiful shades truly are. Applying them wet ups the intensity ten-fold, creating a really dramatic look that I haven't seen matched in any eyeshadows in my collection. 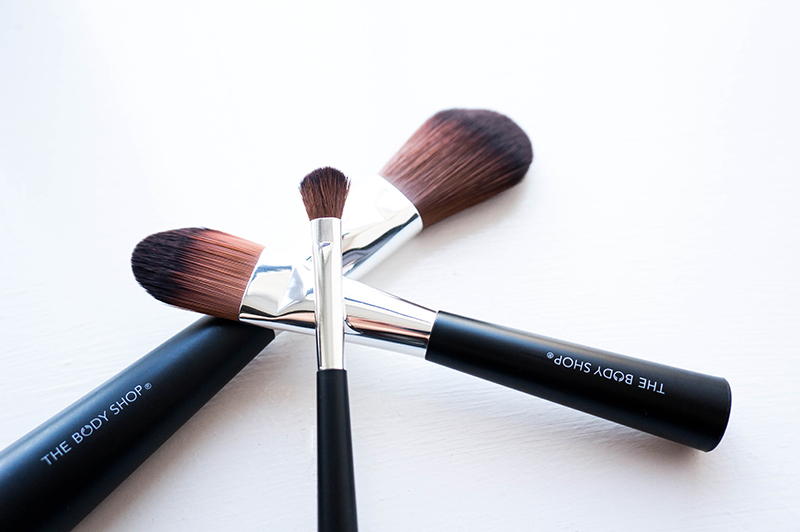 Using the Eyeshadow Brush, £9.00* gives the colours staying power and soft enough to really blend two colours together. 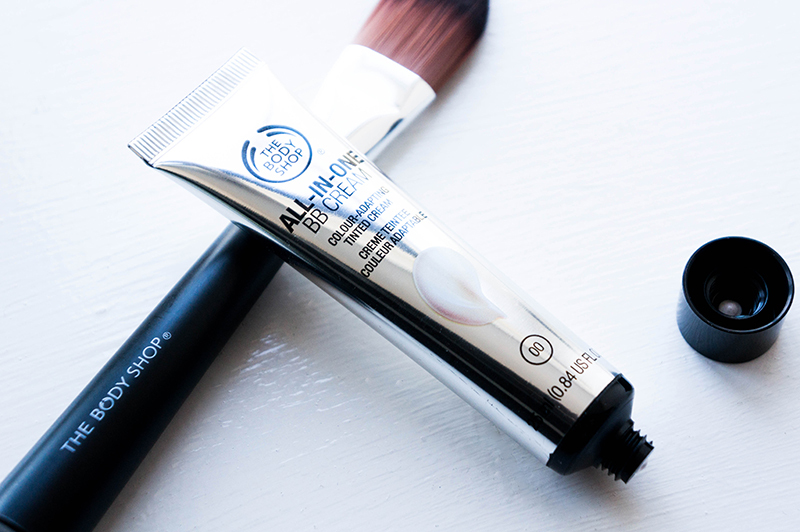 The All-In-One BB Cream, £12.00* took me a little by surprise at first, coming out white but changing to suit my skin tone was something I hadn't experienced before. There are little coloured beads that melt into the skin and leave this beautiful pearlescent glow that's suitably subtle but ultimately stunning. I can barely feel it on, unlike most BB Creams, and I turn to this on my good skin days for a touch of coverage but more for the hydrating benefits it possesses. Working this in with the Foundation Brush, £12.00* for a flawless finish couldn't be easier, but I prefer to use my fingers to get most of the groundwork done. Lastly, the Face & Body Brush, £16.00* has incredible range while being soft enough that I end up just brushing it against my face and arms. Using this to buff my face powder or bronzer in means I don't get highly compacted product in one concentrated area, which is ideal for just a hint of colour. 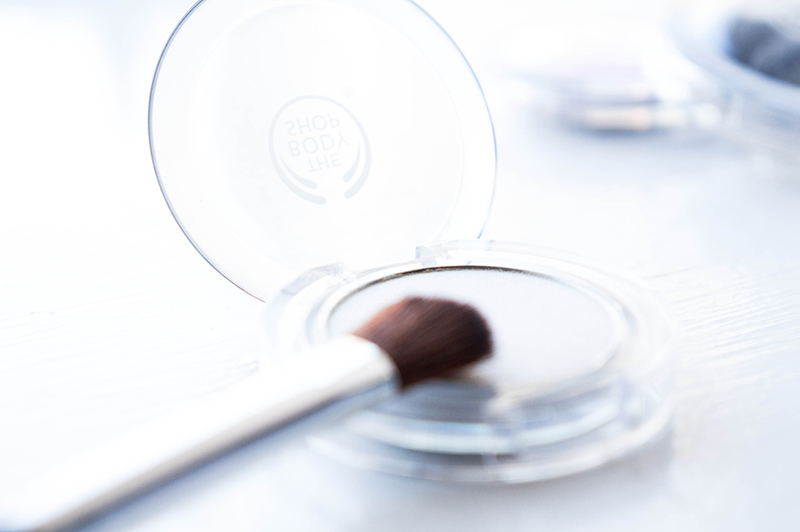 What's your favourite Body Shop product? I am trying to get more into the body shop products and want to try quite a few things from their skincare lines. Their skincare is wonderful, and a very good place to start. I have yet to try any of The Body Shop's makeup. I hadn't even set foot in a store until this summer, and the only thing on my mind was snapping up one of the famous body butters! Because of this, I'd have to say that my favorite products at The Body Shop are the Chocomania body butter and body wash. They feel incredible on the skin and smell absolutely divine! Their skincare is just fab, and the body butters certainly can't be rivalled! I would say that if you're venturing into the cosmetics then the eyeshadows are worth investing in. They are so finely milled and highly pigmented that I can't work out how they sell them for such a reasonable price! I'd love to try this primer, anything to keep my skin in tip top condition while caked in foundation! I've never really dabbled in that much make up from The Body Shop however I had their Liquid Eye liner for a very long time and it was probably the best one I've ever used, I still need to re-buy it. I love that eye liner! It was actually the first piece of TBS makeup I ever bought. I'd lost my on a flight and The Body Shop was the only place that sold makeup, which I hadn't even released at the time. Think it was $7.50 I spent on it in the end and was hugely impressed. I absolutely adore the body shop! and you take such beautiful pictures Adrienne! I'm so so jealous haha Great post! the burshes look wonderful! They really are, and a great range of colours to choose from! Something to suit everyone I think. 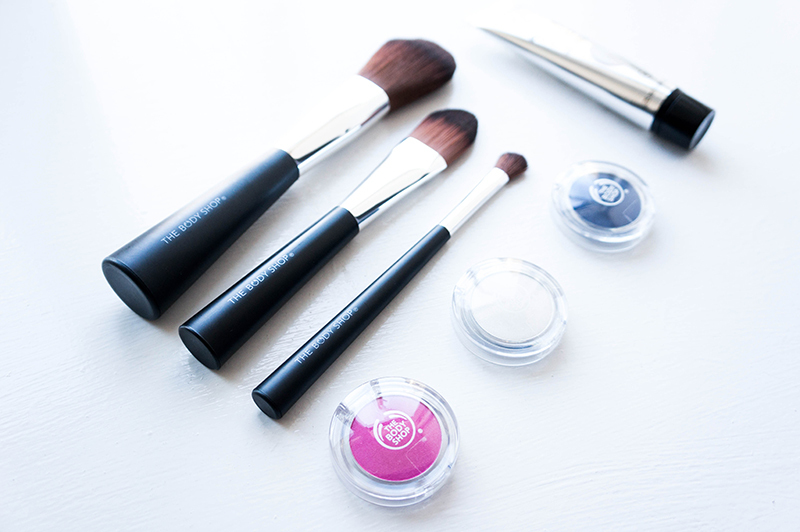 I used to work at The Body Shop and I think they sell great products but their brushes aren't my favourite- they're soft but the shapes aren't quite right in my opinion :) I love their Honey Bronze products and anything Cocoa or Brazil Nut. I've been using their brushes for other purposes recently, I think it's the weighty handles that give them such flexibility to be put to other uses. What products do you own? amazing pictures! and also would love to try these products!